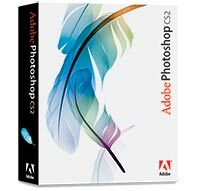 It may seem that Adobe Photoshop CS2 allows you to edit a digital image in any way you can imagine; however, Photoshop has spawned a bustling industry based on plug-ins that enhance its abilities. We took a look at five recently released Photoshop plug-ins and upgrades: Alien Skin Software’s Exposure, The Plugin Site’s FocalBlade 1.0, PictoColor’s iCorrect EditLab Pro 5.0, Imagenomic’s Noiseware Professional 4.0.1, and Pixel- Genius’s PhotoKit Color 2.0.2. How do Photoshop plug-ins fit into the Intel transition ? Makers of Photoshop plug-ins are following Adobe’s lead, and will release Universal versions of their products when Adobe does (Adobe CS3 is scheduled for release in spring 2007). Alien Skin senior developer Finley Lee explains that a plug-in’s processor architecture must match the host program’s, so running the PowerPC version of Photo- shop on Rosetta requires that all plug-ins be PowerPC-compatible as well. Universal apps contain code that supports both architectures, so Photoshop running on Rosetta would load the PowerPC code of any Universal plug-ins.